Amazon revealed today a 7 and 8.9-inch Kindle Fire HDs after weeks of rumors leading up to its debut. The 7inch Kindle Fire HD, is in other words “Kindle Fire 2”, comes with a 1280×800 HD display. Its companion the 8.9-inch Kindle Fire HD comes with an upgraded 1920×1200 HD display. Furthermore, the former has a 1.2 Ghz dual-core processor and the latter a 1.5 Ghz 1.2 Ghz dual-core processor, which should make only a slight difference for the average consumer. However, Amazon does claim that it’s Kindle Fire HDs are the fastest tablets out there, surpassing even the iPad 3. How is it possible you ask? Well the claim to have a dual band and dual antenna which makes WiFi downloading speeds 41 % faster than the iPad 3. Finally, the prices range from $199 to $499, all depending on how much space you need and if 4G speaks to you at all. Amazon has just announced today a new lineup of Kindles. This is not unexpected as some rumors regarding this announcement were reported a few weeks back. One Kindle that was released today, is Amazon‘s new Kindle Paperwhite which features a three different 6 inch displays all in one that let you read in the sunlight, at night, and use its touch screen features. Priced at $119, and $179 for the 3G version, you’ll get a 8 week battery life and a great 7. 5 OZ e-reader. Screen sizes have been growing and growing rapidly since the last decade. On the other hand, screen ratios have been changing too. First, we started off with square screens, then we moved on to wide angled views, and now we’ve reached extreme wide-view displays. 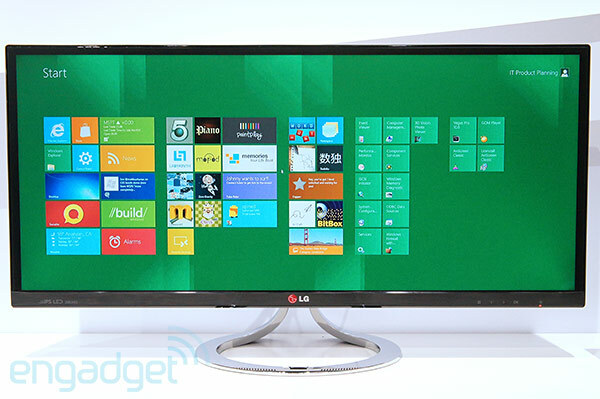 With LG’s EA93 29-inch IPS display you’ll be viewing your computer with a 21:9 aspect ratio. This new IPS screen idea will feature a WQHD resolution (2,560 x 1,080 pixels) and support a four-way split-screen view. In addition, it also contains an HDMI and USB 3.0 port. Finally, you’ll probably need rethink what you’ll be buying the next time you need a new monitor. All these new phones are being released and reinvented over and over again. But what do most people want? A decent and quality camera on their phone…, up till now there wasn’t a great solution out there. However, with the new Nikon Coolpix S01, which was released today, has reinvented the way people take pictures. So instead of having a big chunky camera, or a horrible camera phone, you can have a Nikon Coolpix S01 which is fits easily and snugly in your pocket at 17 mm thick and 77 mm wide. Although smaller than your phone your able to take 10MP shots with 3x optical zoom. Plus you can also take HD video at 720p. So whether this is the camera for you or not, make sure to look ahead for others to follow.